Posted on June 27, 2015 by Tom Richardson Posted in Cell phone & Computer Monitoring Reviews . 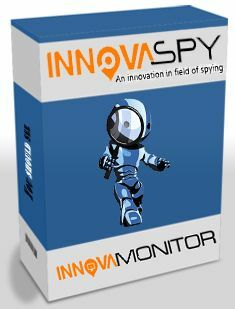 InnovaSpy is a modern and effective solution for those who look for some new ways to monitor their kids, employees, and relatives. InnovaSpy has accumulated all the popular means of tracking, and added some new features to make the software even more easy to use. InnovaSpy develops the idea of getting all information kept on the device. That is why all the features presented by the InnovaSpy are targeted to get access to the each piece of information that may be found at the smartphone or tablet. Using InnovaSpy you get access to all the messages that have been sent or received via target device. These messages also include Skype, Viber, WhatsAppm Snapchat and other IM chats as well as e-mails. Using this option you get access both to the history of calls and contacts, and can record the call itself to listen up to it. With InnovaSpy you can monitor received, sent, downloaded multimedia files, photos and videos that are takes at the target device. With this option you will always know where the target device is. Contact InnovaSpy using contact form at the website or email. InnovaSpy software is available for iOS and Android devices. You can try InnovaSpy for free for 48 hours or buy the license for 10 days. Those who are ready to buy license for a longer time may enjoy permanent discounts. The full refund is available within 5 days after purchasing the license.